Cold Steel Dragonfly O Tanto Sword | BUDK.com - Knives & Swords At The Lowest Prices! This tanto offers a modern update on a traditional design. Japanese weapons were designed for a smaller body than exists in the modern world. This weapon offers a thicker, wider, and heavier blade than is found on original items to compensate for this difference. 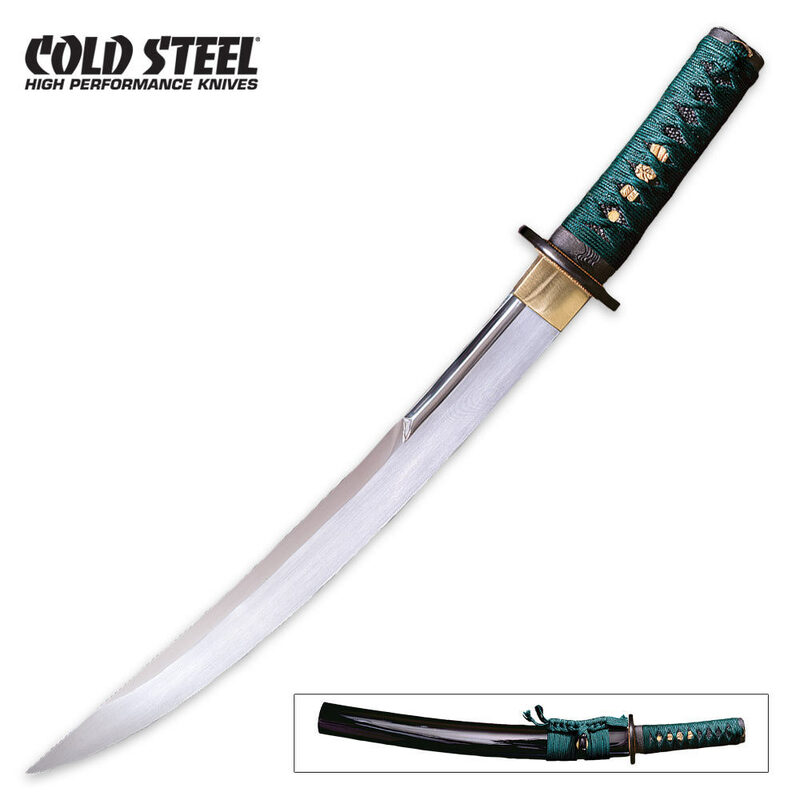 It measures 21" overall and features a 15" blade crafted from 1055 carbon steel. The carefully hand polished blade is designed with a blood groove that has a distinctive mirror polish applied to it. The hilt is covered in black ray skin and tightly wrapped in the traditional style with teal-green silk braid cord. The guard and pommel are crafted in black iron and bear the dragonfly motif. This tanto includes a black lacquered wood scabbard, a blue travel bag, and an intricately decorated display bag made from the finest heavy silk metallic brocade. Cold Steel, 88DT.